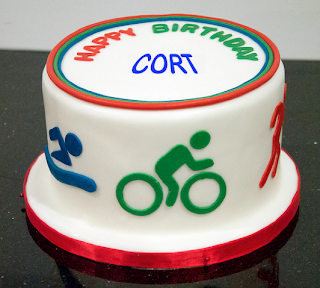 Cort the Sport: Yep, it's my birthday! 46k of celebration ahead! I'm 26 36 46! No kidding! This year I'm doing a 46k birthday triathlon: 3k swim + 19k run + 24k bike. It was built around the run I needed to get in for Boston. A bit on the tame side, but it's not a great time to be going wild, just 24 days out. Thanks, Coach Jim for building my training schedule around my birthday wish. 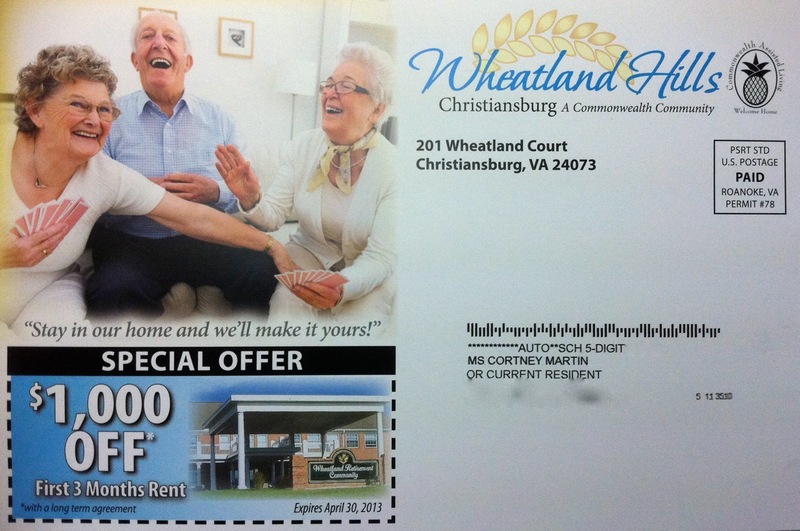 This postcard below came in the mail for me yesterday -- a coupon for $$ off three month's rent at an area retirement community. Seriously?! In my head I am still 25. And far from a retirement community. But I AM just four years away from the Senior Olympics. Time to start training for mini-golf, bocce ball, and frisbee. I plan to dominate!!!! 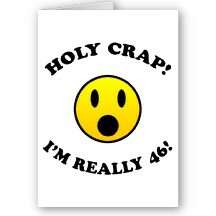 The whole age/number thing is pretty meaningless to me (unless of course I'm aging up to a new age group for racing). I know 70-somethings who are incredibly youthful and 30-somethings who are old. I'm not a big celebrator of particular days like birthdays. I'm a celebrator of every day. But hey, if this gives me an excuse to swim/bike/run a little more, I'll take it. Have a great Friday! Birthday or not, celebrate the day!